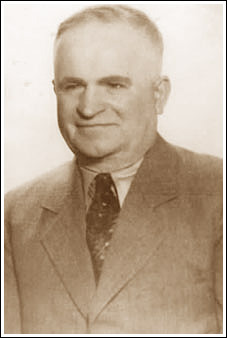 Peter Miscovich was born Pero Miscovic in Imotica, a small village on the Adriatic Coast of what is now called Croatia. The Miscovich family and their neighbors, the Stankovich clan, raised tobacco as a cash crop. Both families survived on the potatoes and cabbage grown in hardscrabble gardens and on their small herds of sheep and goats. Peter and most of his relatives had no formal education. Although village elders tried to discourage him, Peter decided that America offered far more opportunity and he decided to emigrate. He arrived at Ellis Island, New York, single at the age of eighteen on May 25th, 1903. He had shipped out of Le Havre, France, on La Gascone, a week or so before. Peter only stayed in New York for a few months before heading west, beginning an almost six-year apprenticeship in underground mining, first at Butte, Montana, and then at Angels Camp, California. He decided that underground mining for copper and gold was not conducive to his health, so he moved on to a coal mine at Wilkensen, Washington, where other Croations worked. Unfortunately he found that coal mining was as bad or worse than metal mining. Peter was becoming discouraged with his new occupation. But news of an Alaskan gold rush published in a Tacoma paper renewed Peters enthusiasm for the American dream. When Peter heard of the Iditarod stampede in 1910; he withdrew his last pay at the coal mine, and went to Seattle where a steerage ticket took him as far as St. Michael, at the mouth of the Yukon River. He worked his passage upriver from St. Michael to Iditarod, a bustling community with a shortage of labor. Peter began to accumulate a stake by cutting wood for six dollars a cord. In the previous six years, Peter added to his native Slavic and fragmentary Italian an understanding and speaking grasp of English. He soon landed a job as construction foreman on the seven-mile-long rail tramway that connected Iditarod with the mining town of Flat. The job allowed Peter time to search for a mining opportunity which he found on the fifteen-acre Hensley fraction at Discovery, not far from John Beatons original gold rush find. Peters first son, George, was born in Flat in April 1915. George was followed by Eva, John, Annie, Olga, Howard and Andrew. Conditions must have been about as tough as in Croatia, but at least Miscovich owned the claim where he eked out a living, and later began a lifetime of experimentation with steam and hydraulics. At Stanas insistence, some of the experiments were domestic in nature, and Peter built Stana a steam-powered washing machine. A nearby boiler also provided steam for baths that were offered to the community on Saturday nights. At times, the revenues that Stana received from steam baths and laundry were the main cash income for the Miscovich family. Toward 1920, there were rumors that the Guggenheims, who operated a large dredging operation on Flat Creek, were going to pull out of the Iditarod district. Peter approached a good friend and Guggenheim representative, 'Cap' Osborne, and arranged to acquire the Guggenheim ground on a reasonable lease-option basis. He also found a tract of better ground near the community of Flat, where he planned a hydraulic operation and, with the rental of one of David Strandberg's supply ditches, took out a good cut. In the winter of 1923, Peter's arrangement with the Guggenheims ended, and the Miscovich family had to move back to the fractional claim at Discovery. At Flat, most of the operations, except the dredges, mined with so-called hydraulic lifts. The lifts, sometimes called gravel elevators, operated on the basis of the Bernoulli principle: pressure in a moving liquid decreases with velocity. A constriction in the lift, just above a powerful hydraulic nozzle, increased velocity and reduced pressure, which acted, vacuum-like, on water-entrained placer gravel, vertically lifting the latter 20 or 30 feet to the sluice box. The ground at Flat is just that, flat, so the lifts tended to be high and the tailings were run out over long distances in low-angle sluices. Peter had little hydraulic head at Discovery, but he reasoned that he could lift the gravel about 15 feet and still have adequate slope for his sluice boxes. Peter, with his working-age sons and a few miners, hand dug a ditch two and one-half miles long to Slate Creek that would give him 100 feet of hydraulic head. Peter designed and constructed his own hydraulic lift in a little blacksmith shop. He was ready to mine by the middle of the 1924 season but ran into another problem. Adjacent claim owners, the Richardson brothers, would not let Peter discharge his tailings across their ground. Peter became angry with the Richardson brothers and a serious impasse developed, but Stana convinced him to approach the U.S. Marshall at Iditarod and negotiate a peaceful settlement. Peter took out more than 400 ounces of gold in the abbreviated season to survive once again. Events gradually began to turn in Peter's favor. The Richardson brothers decided to sell their claims to Martin Roslyn. Martin, who was in poor health, sold claims, equipment, and a first water-right on Slate Creek to Peter for $2,500 cash, which increased the Miscovich holdings to several hundred acres. Additionally, Johnny Beaton, the original discoverer of the Iditarod-Flat mining district, sold Peter another 136 acres of adjacent ground on a pay-as-you-mine basis, so that gradually, Peter Miscovich had acquired the dominant position on Otter Creek between the mining communities of Flat and Discovery. Old timers at Flat were skeptical of Peter's land-play because much of the ground had been drift mined, mined with Bagley scrapers, and then dredged, sometimes more than once. In addition to his studies of hydraulics, Miscovich had also been watching the gradual development of heavy equipment that could be adapted to mining. He reasoned that the coarse nuggets and richest ground on Discovery lay below the effective digging depth of small wooden-hulled dredges and the scrapers. In 1934, Peter purchased, on time, a Caterpillar Diesel Fifty tractor with an Isaacson Bulldozer, the first diesel tractor to be used in the Iditarod district. The use of the tractor increased production from $8,000 to $60,000 per year aided by the escalation of the gold price from $20 to $35 per ounce. In the meantime, Stana Miscovich had placed her own plans in operation. In 1929, a con- man named Spencer arrived in Iditarod with Revigator water jugs which supposedly contained a radium lining. Water treated in the jugs for three days could, according to Mr. Spencer, cure anything. Later it was found that the jugs were lined with ordinary concrete, but Spencer sold all of them to credulous miners. Stana, without formal education herself, had been worried for some time about the education of her children. Stana trusted Spencer to the extent that she told him that she had saved $1,700 to purchase a home and asked Spencer to look for one in Fairbanks. Spencer found an old log cabin in Fairbanks and arranged for Stana Miscovich to buy it. In the summer of 1930, Stana made plans for George and Eva to move to Fairbanks where they could attend high school. Peter, who would have vetoed the move because of the loss of his mining crew, was not informed of Stanas decision to relocate to Fairbanks. Stana, with barely a good-bye to her husband, boarded the steamboat Dannaco No. 1, accompanied by her oldest daughter, Eva, and younger children. Stana and the children were able to catch the last Fairbanks-bound Yukon steamer of the year at Holy Cross. John and George remained to help their father make a last clean-up, but then flew to Fairbanks to join the rest of the Miscovich family. The years from 1936 to World War II were the glory years for Peter Miscovich and his sons. In 1936, Peter bought a new 1 ½ cubic yard capacity back hoe, and brought it into Discovery camp, the first to be used in the Iditarod district. The machine could dig hard blocky bedrock better than anything previously used in the Iditarod district, and gold production increased to thousands of ounces per season. At the same time, diesel driven pumps were being brought into the district. However, Peter believed he could generate the necessary power with a large-capacity low-head hydro system without the cost of the diesel fuel. His idea incorporated a 2 ½ mile ditch to divert Otter Creek, a 5,000 foot drain, a steel penstock, a fish elevator, and a used low-head water-driven turbine purchased from a defunct mining operation in Idaho for $500. By the end of the 1938 season, the hydroelectric plant developed about 200 horsepower and generated enough electrical power to supply the camp and shops. Other innovations further increased the efficiency of Miscovich operations. Hydraulic elevators are mechanically inefficient. By using his tractors to aid the hydraulic giants in delivering the pay gravel to the elevator, Miscovich increased efficiency from about ten to thirty percent. He also designed his own riffle system, using light-weight, high strength, manganese steel. Most gold mines were shut down in World War II, but because Peter could generate his own power, he continued to mine at Flat with a couple of miners who were too old for the war. For many years, Andrew, the youngest Miscovich son, helped his father with the operation. John Miscovich followed his father's inventive footsteps and continued to perfect the use of both hydraulic elevators, which are sometimes used to unload ocean-going ships, and hydraulic giants. John invented the IntelligiantTM, a patented water cannon now used on fire trucks and fire boats throughout the world. In the late 1940s, Peter Miscovich began to have significant health problems. His heart and a cancerous liver failed in 1950. Stana finally left Fairbanks and moved to Seattle where she died in 1969. The Miscovich sons have tried many operations, some better than others. None were as successful, however, as the Miscovich mine on Otter Creek that operated from 1934 through the years of World War II. Perhaps because of their own hardships and Stana's strong Roman Catholic faith, the Miscovich family was composed of compassionate individuals. While many of the good women of Flat-Discovery ostracized the girls of the line, Stana made sure that they could get away from their work for a time on early Saturday evening and relax with a steam bath and conversation. Peter hired Natives from down river, taught them to operate machinery, weld, and mechanic. He advanced them money for family needs, but, as with his own family, would not tolerate drinking or absence from work. Elderly miners and blacks, stranded in Flat, could get work from Peter when it was not available elsewhere. Peter Miscovich was easily angered by foolish mistakes; his favorite Croatian saying was "racunat", pronounced rachunat, meaning think before you act. He usually was serious, but he loved to tell humorous stories, joke with Stana, and to dance all night. He might deny his wife some of her wants while he bought another piece of expensive mining equipment, but Stana prevailed on important family issues, not too bad a basis for a solid union, a relationship which has set the tone for Miscovich families to the present. "His adopted homeland blessed him with opportunity. And he enriched America through the manner of his living and by his devotion to the principles which have made the nation a symbol of decency and promise to the rest of the world." Miscovich, John A., Chapters and sections that John A. Miscovich is preparing for book publication.